26 October 2015 will be observed as a public holiday, because the 25th will be falling on a Sunday, and according to law whenever a holiday falls on a Sunday the next day should be observed as the public holiday. He further explained that the National Celebrations Committee major activity to commemorate 25 October as Thanksgiving Day, will be a national non-denominational church service at the Beaulieu RC Church at 3 pm. The National Celebrations Committee has also written to leaders of all churches, seeking their support to use the period of 19 to 25 October as a time to pray for Unity and Peace in the country. Historically, 25 October 1983 was the day that the US invaded Grenada and restored democracy. 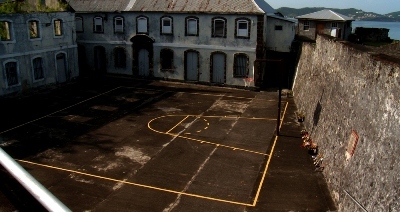 Internal conflict within the People’s Revolutionary Government which was governing the country during the period, resulted in a civil and military massacre resulting in the death of many, including the then Prime Minister Maurice Bishop, some of his cabinet members, and other civilians at Fort George. The massacre took place on 19 October 1983 which is not observed as a public holiday, but the people who died on that day are remembered by the laying of wreaths and a church service on the Fort in the area where they were killed.